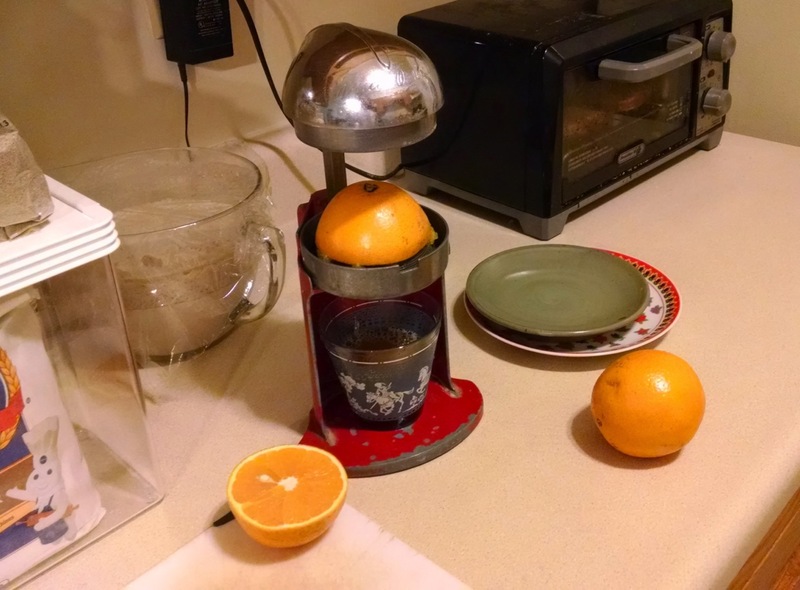 Some of my very earliest memories, from before I was four years old, are of my mom using this squeezer to make my dad orange juice. They switched over to frozen concentrated orange juice when I was about that age, and I don’t think the squeezer got much use after that. We packed up the squeezer when we packed to move, so it was unavailable all last summer. 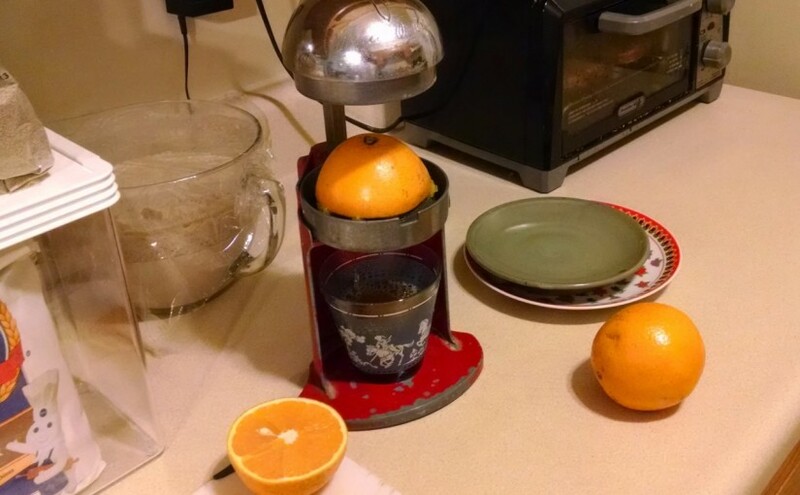 I think we used it once last fall as soon as we got it unpacked, but juice oranges are expensive compared to frozen concentrate, so we just did one bag of oranges and then put it away. This spring, though, I’ve been watching to see if juice oranges ever go on sale, which they don’t seem to do. So, despairing of oranges on sale, I started just checking the bags themselves, and decided a couple of days ago that they looked particularly good—small, but heavy for their size—and got a bag. These oranges are also extra juicy. Before I was squeezing three or four oranges to get juice for two people, but just one orange apiece is enough with these oranges! And, oh fresh juice is good! So much better than frozen concentrated. Better even than the “premium” not-from-concentrate juice you can buy these days in the grocery store. If this is a seasonal thing, and not just a fluke, I’m going to be very tempted to keep getting fresh oranges all season.